Ted Christou - Modernization and Progressivism in Ontario's education history. CIRCE [sur-see] is an international network of researchers, educators and other practitioners who see imagination as a key to making this world a better place to live in. In this podcast series, meet some of the members of this growing community, connect with their thinking on the power of imagination, and learn how you can be part of ... See More the energy. "Citizens of Craft: The Podcast", produced by voicEd Radio and the Canadian Crafts Federation, brings together the voices of craft artists, curators, educators and collectors who speak off the cuff about craft practice and its role in their lives. Podcast guest speakers are, truly, the “Citizens of Craft”. They are masters in ... See More their own right, chasing techniques that have been in use for thousands of years, or exploring new technologies that have just begun to push the boundaries of art. They appreciate and create objects with meaning, history, and purpose - rejecting the mass manufactured lifestyle of our time to capture something more authentic. Each episode, hosted by Canadian Crafts Federation Director, Maegen Black, addresses one of ten manifesto statements from the Citizens of Craft movement, and animates the story of craft through the values that this movement upholds. This project is made possible through the generous support of the Canada Council for the Arts. A podcast dedicated to exploring the Canadian political landscape through the eyes and voices of educators. Digital Human Library creates opportunities for K-12 teachers and students to learn with the world through social innovation projects, interactive 1:1 video conferences, engaging live streamed educational programs, and the largest collection of educational virtual tours and virtual reality of the web. dHLOnAir is a new podcast ... See More featuring some of our talented Experts who will be sharing stories about their own educational experiences and what it's like to work in their chosen fields, followed by a unique and engaging sample program OnAir for teachers and students. Join us each month and get to know the Experts at Digital Human Library! A national weekly call-in show that seeks to broaden and deepen our understanding and perspective on current issues and events in Canadian Education. Education-focused radio chats dedicated to unpacking the Future Literacies Framework so learners and leaders can thrive today and tomorrow. A special voicEd Radio series exploring Regie Routman's newest book," Literacy Essentials: Engagement, Excellence and Equity for All Learners", Join author Regie Routman and Allison Tucker, K-12 Program Program Specialist with the Nfld/Labrador English School District, as they take us on a journey of exploration into the ... See More essentials that ground great literacy practice. Faith In The System, hosted by Munazzah Shirwani, is about having authentic conversations that promote Faith Literacy for educators and stakeholders. The podcast covers religion, religious communities and interactions in both public and private school systems as well as in the wider public square. It’s a place for us, as educators to ... See More gain insight and empathy into handling the issues that come our way. The opinions of guests on the show are not necessarily those of the host or voicEd radio but are welcomed in the spirit of civil discourse. What does it take to raise and educate amazing kids? How can we best prepare them for the astonishing future that is coming up? The research and everyday options can sometimes seem overwhelming, and so, in this series of podcasts, Nick Burnett and Tony Ryan will offer some practical insights for educators and parents alike. With a ... See More focus on 12-year-old Georgie, who will be 32 years old in 2039 AD, they will outline a number of key elements on what is needed to help her live a fulfilling life. 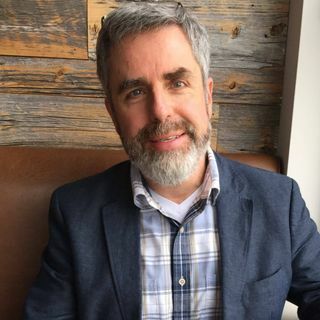 Join eCampusOntario Program Manager Terry Greene as he and his guests get some air time to discuss technology-enabled and open learning practices in Ontario Post-Secondary Education. Vous écoutez Inspire Leadership. Des conversations avec des leaders pour nous inspirer à exercer une influence, avoir un impact, et passer à l’action. Inspire Leadership a été créé par Joël McLean. Join host, Ramona Meharg (@RamonaMeharg) as she and her guests explore what it might look like if they knew then what they know now. Join #TeamLearnography as they explore the world of learning, both in schools and beyond. If it has to do with learning, you'll end up finding it here! Carol Arcus and Neil Andersen from the Association for Media Literacy gather each Monday evening to look at 21st Century culture and current events through a media literacy lens. From politics to popular culture, we guarantee that you won't leave an episode thinking quite the same way ever again. Each week, new teachers gather around the table with teachers who have been at it for a while to share insights, curiosities and stories. It's always lively and always informative. Parent advocate, writer and speaker in a four week series based on her book, Parenting Through the Storm. Listen in as Ann and her guests talk about the ups and downs of supporting and advocating for a child who struggles with mental health, neurological disorders or behaviour issues. Lois Letchford started her career as a phys-ed teacher, but when her son Nicholas encountered difficulties learning to read, her focus changed. In order to provide Nicholas with the he needed, she found herself becoming a reading teacher. Lois' soon-to-be-released book, Reversed: A Memoir, maps her personal journey. A poignant ... See More and compelling story. Nancy Angevine-Sands is a passionate advocate for deeper engagement in our schools. It's much more than Parent Engagement. It's about engaging the entire family! And it's about Nancy's ongoing exploration of "Why Family Engagement Matters." Founded in 2016 by Stuart Shanker, the Self Regulation Institute (SRI) works to enhance the health and wellbeing of children, adults, and communities through integrative research steered by the innovative Self-Reg model. In this podcast, we highlight the research that is being mobilized to inform practice and inquiry worldwide. Shift Your What? is a podcast for educators, students and parents interested in innovating the game of school. We are well into the twenty-first century and school has some catching up to do. This podcast, a production of the Shift at the Halton District School Board wonders how we can use small shifts in how we do school that lead to ... See More big changes in how we teach and learn. Welcome to Spartan Speak: the voice of Craig Kielburger Secondary School. Join us as we explore school activities and culture, and share staff and student perspectives with our community and the world. Scanning the horizon for the signals of change—the ideas and initiatives that stand to impact the world of education in the distant (and not-so-distant) future. Starting in Winter 2019, Ontario Extend will be hosting a short-run podcast miniseries on VoicEd Radio for two reasons. First is to give mOOC participants a chance to connect with each other in a format other than a discussion forum to chat about the work they are doing. The other is to allow those who are not mOOCing themselves a chance ... See More to peak behind the curtain and hear a bit about what is going on. Episodes will be published once every two weeks. Join in! The Student Voice Podcast, run by OSTA-AECO, is a podcast for Ontario Student Trustees to discuss topical events and issues in Ontario Education. The Student Voice Podcast provides a platform for Ontario’s largest stakeholders in education to share their ideas and voice. Jen Cort is an education consultant in the areas of equity, inclusion, diversity and justice. In this podcast, Jen opens up a "third space"— a place outside our familiar home and work environments — in order that we might begin to engage in some of the provocative questions that need to be addressed. Listen in as Jen speaks ... See More with some of the leading thinkers and doers in the field. In this series, heard live each Monday evening on voicEd Radio, Stuart Shanker, Susan Hopkins and members of the MEHRIT Centre community gather to talk about various dimensions of Self-Reg. Host Stephen Hurley acts as the curious traveler as he walks alongside his guests to better understand how a Self-Reg lens can impact the way we see ... See More our children, our students and ourselves.